Single stage type pelletizing line is mainly designed for processing PE,PP rigid flake, plastic film in big pieces or small piece, heavily printed film. 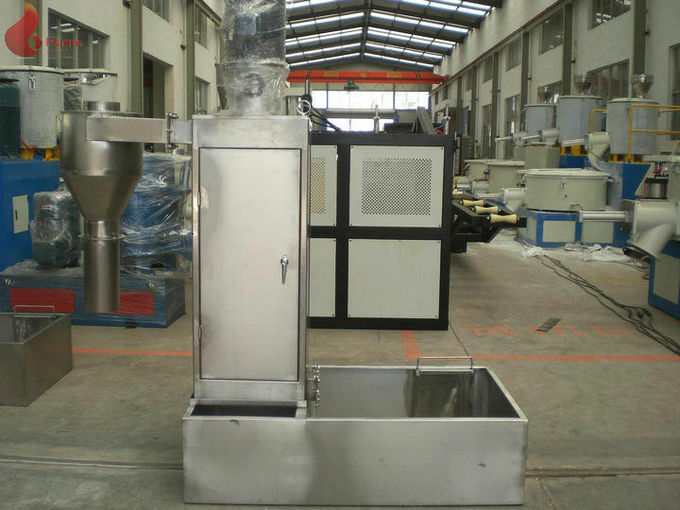 The feeding method can be designed according to the raw material. 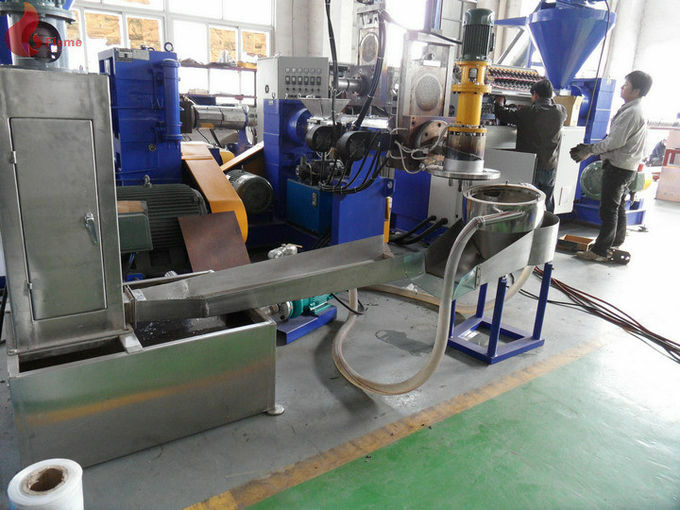 Double stage pelletizing line is mainly designed for processing PE, PP rigid flake or waste film flake. 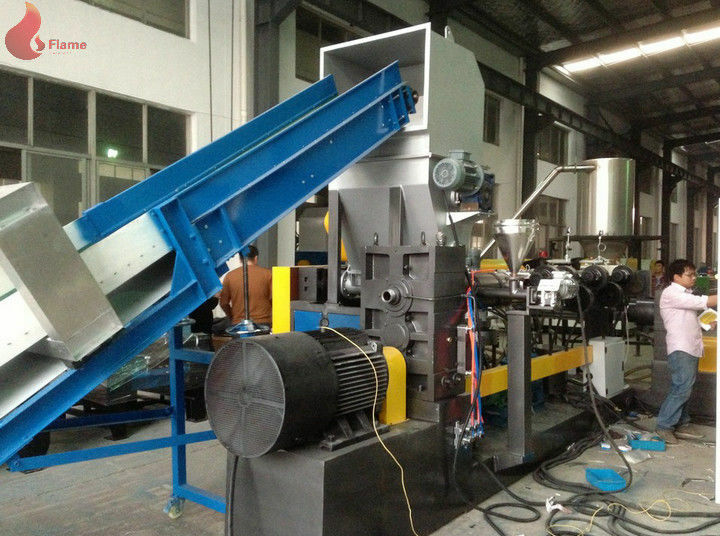 The advantage of the double stage pelletizing line is better melting and the material is more clean after two filtering form screen changers. It is an ideal machine for the kinds of little bit dirty material. 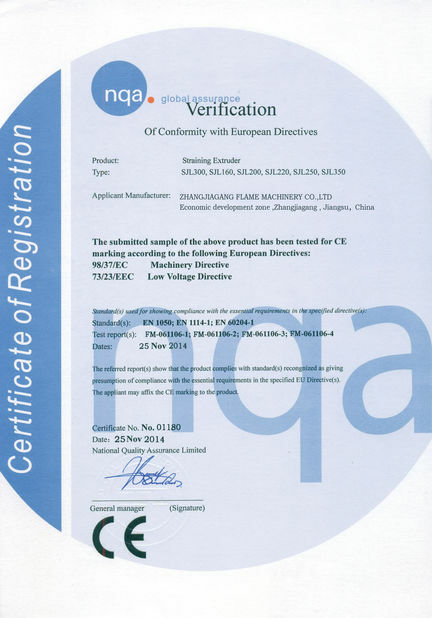 For screw L/D varies according to the material condition, for example, rigid material or film flake. 3. Various kinds of PP(such as ton bags, woven bags, films, non-woven bags), BOPP,,PE,Abs,PA flakes. 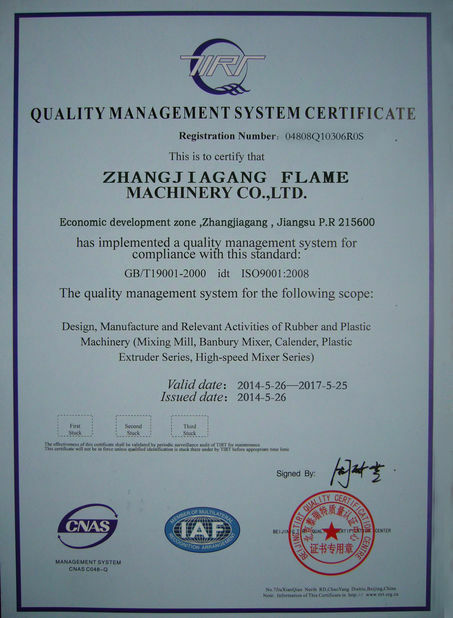 After the waste plastics film is aggregated, it will be plastified and prilling. 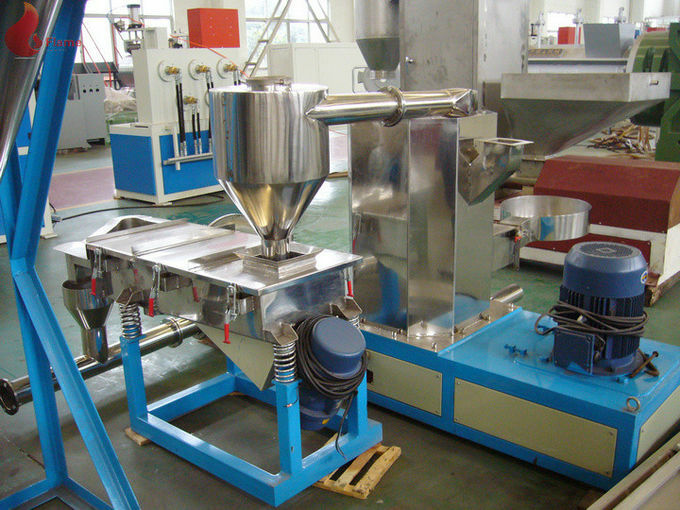 The production line mainly produce water-ring pelletizing. The particle cut from mould must be out of water before bagging. one or two technicians will be sent to the buyer to guide the installation and commissioning of the equipment if the customer requests.